Washington, Jan 27 (Just News): Aung San Suu Kyi remains Myanmar’s best hope for change, veteran US mediator Bill Richardson said on Friday, days after he got into a fight with the Nobel laureate and quit an international panel advising her government on the Rohingya crisis. 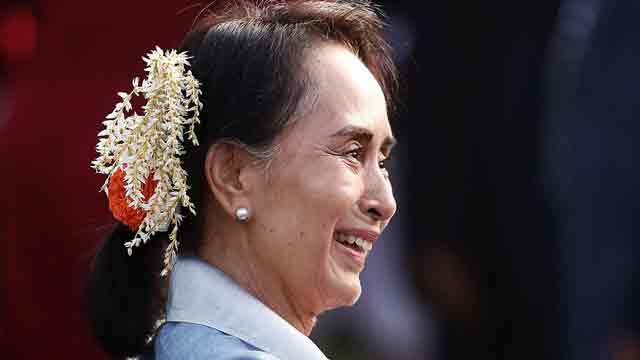 Richardson said Suu Kyi, whom he described as a long-time friend, had developed a “siege mentality” in her position as Myanmar’s State Counsellor, the country’s civilian leader, but added that Western governments should continue to engage with her. “I think the Myanmar military is to blame a lot and the only person that can turn them around, I believe, is Aung San Suu Kyi, and she should start doing that,” said Richardson, a former U.S. ambassador to the United Nations under President Bill Clinton who has also worked as a mediator with North Korea. Richardson said Suu Kyi’s response at a Monday night dinner was “furious” when he brought up the case of two Reuters reporters, who were arrested on December 12 on suspicion of violating Myanmar’s Official Secrets Act.